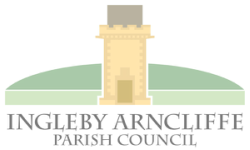 Ingleby Arncliffe Parish Council does not endorse any advertisement on this this website and is unable to accept responsibility for the quality of service provided by advertisers. We accept advertisements in good faith and it is the responsibility of the person wishing to use the service provider to take up satisfactory references before engaging their services. If you would like to have a link to your social media contact either the contact on the web page, any member of the Parish Council or the webmaster.